Moving your home is probably going to be one of the most important events in your life. It is something that most people, sooner or later, go through. Those who find themselves in this situation for the first time will probably have a little bit more difficult time to handle all the tasks regarding their relocation, especially if they decide on doing it on their own. However, there is a risk that they will make some crucial mistakes. 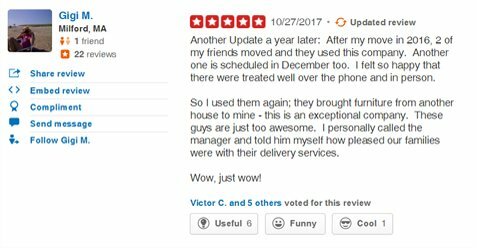 This is why hiring a reliable moving company with experienced residential movers Boston is something that can make this whole situation easier and less stressed. Now, while we are aware that this might not be the easiest of tasks, it is simply one of the most necessary ones. When choosing the right movers, there are certain things you should pay attention to. If you manage to find one, rest assured that it will make your relocation seem a child’s play. 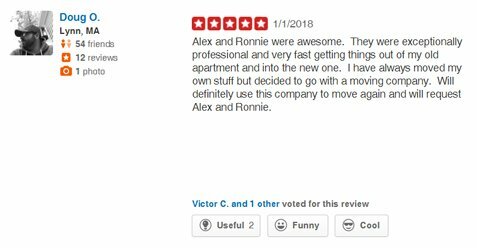 Therefore, we suggest you invest some time in the search for a moving company especially if you have some bulky and heavy objects to move such as pianos, pool tables, hot tubes, etc. These are truly difficult items to prepare for the relocation and if you are about to move for the first time then you will need some professional assistance along the way. Residential movers Boston is a team that is trained for these types of relocation and which is always ready to give a hand. To develop a trust in someone to help you relocate from point A to point B is maybe not easy for everyone. That is why it is imperative to find a local company with which your relocation will go smooth. To do that, you can always consult someone you already trust. Perhaps some friend or a family member knows about a company with all the characteristics that you are looking for. If that is the case, then give it a shot. Contact that company and set an appointment. However, just because you will have a meeting with them, does not mean that you need to hire them. One of the ways to look for a company is to look for it online. However, prepare for a somewhat longer search. You see, there are hundreds of moving companies today. But, not every company is what you are looking for. On the other hand, since this is you who is moving it is in your best interest to be careful and observe well. Give your best to spot the red flags. Moreover, beware of fraudulent firms as they would provoke all that stress and worries you seek to avoid. With trustworthy residential movers Boston, it is a completely different story. To make sure that everything goes well, our professional movers will help you come up with the best moving strategy applied to your particular case. This way, you can be sure that all the potential panic and stress will stay behind. Moreover, we will make sure to have a constant communication with you during the relocation to keep you up to date with the current set of affairs. The benefits of having us by your side in the moments of preparing and planning a move are many. For starters, you won’t have to worry that there will be something that you are not informed about. Then, you will know exactly what to do at every moment. Our carefully made plan will contain all tasks that will constantly remind you about everything that still needs to be done. Making a plan, and following it without exceptions will surely make the whole thing easier and will prevent you from skipping something important prior to the moving day. However, if there is anything that needs to be changed in the plan due to some unpredicted circumstances, please make sure to inform your movers as soon as possible. That way, we can react timely and make the necessary changes. It is important to adjust the plan according to your schedule and the current situation. This is why constructing a good moving plan is of a great importance. With it, there is no room for panic. Have all the steps written down. The reason why so many people have chosen us as their moving partner is that we know how to operate efficiently. This means that we will take care of all of your belongings with no exceptions. Whether you have anything bulky or fragile, we have you covered. We possess the right moving and packing materials and a team of people who know how to use them in the best and most efficient way. A good relationship with our customers is what we strive for. We are approachable and always available to our clients for every question they have regarding their relocation and other services we can provide them with. All you have to do is prepare a list of questions you find important, and our agents will be ready to provide you with all the answers. We find this important as this can bring us closer to our customers. You can expect a friendly agent on the other side of a line. And if you choose to write us an email, we will make sure to answer as quickly as possible.